Then-freshman left-handed pitcher Bryce Moyle throws a pitch during a game against Utah on May 24. 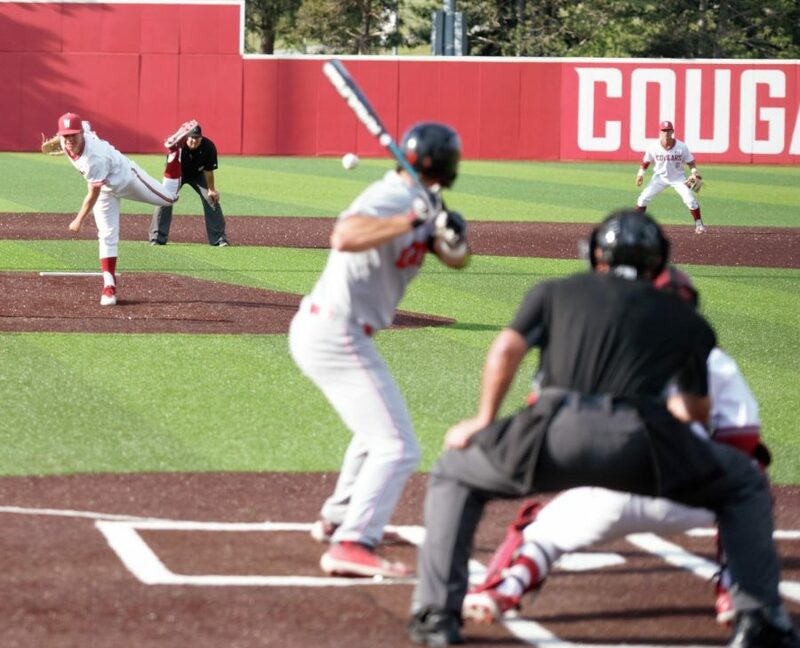 WSU baseball lost 9-3 in the second game of a series with University of Utah on Friday. Senior left-handed pitcher Scotty Sunitsch started on the mound for WSU (16-32-1) and held the Utes (15-39) to one run on three hits through the first six innings. Sunitsch ran into trouble in the seventh as Utah strung together four hits to score three runs. Redshirt senior right-handed pitcher Collin Maier replaced Sunitsch, who exited to a standing ovation with two outs in the inning. The start was the 85th of Sunitsch’s career, fourth most in WSU history, and his final in a WSU uniform. WSU jumped out to an early 2-0 lead in the bottom of the first on RBI singles by junior infielder Justin Harrer and senior outfielder JJ Hancock. The Cougars failed to get much else going offensively the rest of the game. Utah pitchers retired the side in order in five of the final seven innings. WSU added a lone run in the eighth inning after stringing together three hits but were not able to get back in the game. Utah scored three times in the top of the eighth and twice in the top of the ninth to beat the Cougars 9-3. The season finale will start at noon Saturday at Bailey-Brayton Field. It will be the last game for nine WSU seniors and the game can also be seen live on Pac-12 Networks.